Saida Waheed FMH College of Nursing Lahore (Fatima Memorial Hospital) Admission Notice 2016-2017 for Post RN BScN & Post Basic Specialization (Pediatrics, ICU/CCU, Accident & Emergency). Approved by Pakistan Nursing Council. 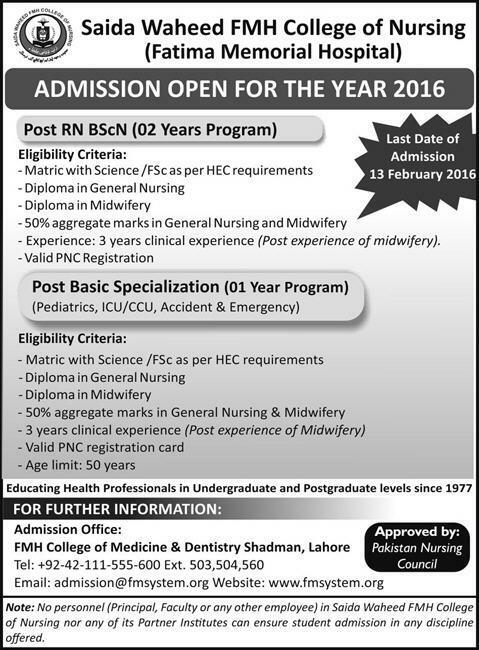 Last Date of admission 13 February 2016.